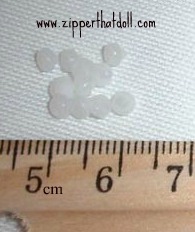 Zipper That Doll - small buttons for doll fashions or scrapbooking. 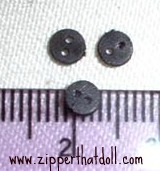 Tiny 2 hole sew-through buttons for your dolls, scrapbooks and crafts. Please note: A total minimum order of $10 is now required. 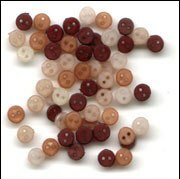 Teeny-Tiny Shank Buttons are currently not available. I am hoping to find a new supplier soon. 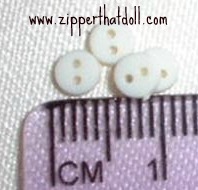 Two hole tiny buttons are still available further down the page. 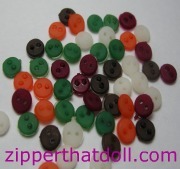 $5.25 for approximately 135 buttons in each bag. That's a Barbie doll hand holding the button - so you can see the scale. 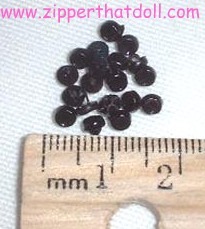 Here are the sets of teeny shank buttons. 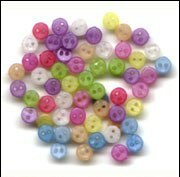 You get approximately 130 buttons per large package, $5.25 each, and approximately 65 buttons per small package, $3.50 each. 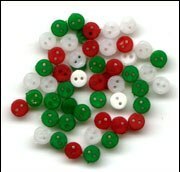 Fill in quantities needed, then hit the button below to add buttons to your cart. 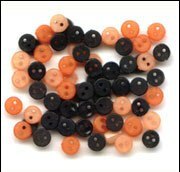 Tiny 2 hole sew through buttons, only 4mm wide! 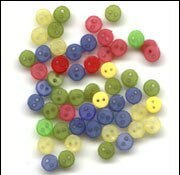 $4.50 for each large bag (a large bag is 144 buttons), $3.00 for each small bag (small bag 72 buttons). Yes, another Barbie doll hand holding these buttons for scale. 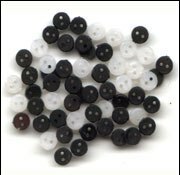 Fill in quantities needed, then hit the button below to add 2 hole buttons to your cart. Product may be returned for a refund if not satisfied. Shipping charges are not refundable.